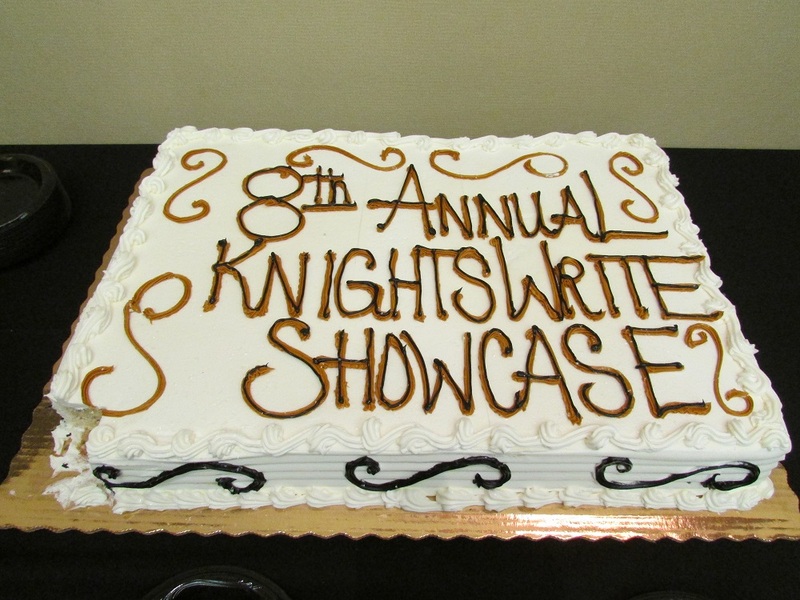 The Department of Writing and Rhetoric hosted the 8th annual Knights Wright Showcase on February 7th, 2018. This showcase is an opportunity for students from the first-year writing program to exhibit their hard work and dedication in refining their composition and research skills. The event was open to the community, and was well-received by all. The showcase featured several poster displays created by the students, two student panels, and an award ceremony led by the Dean of the College of Arts and Humanities, Jeff Moore, and the President of UCF, Dr. John C. Hitt. 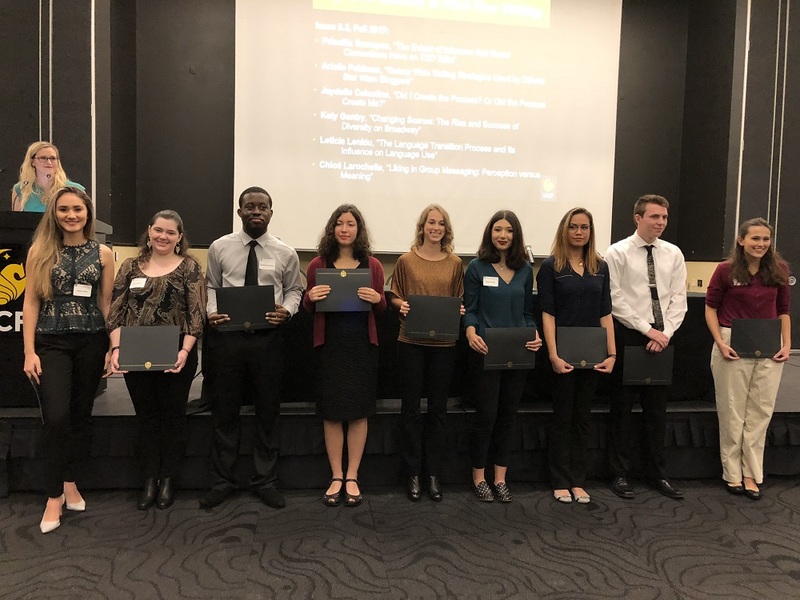 A number of students were recognized for their extraordinary work, including their contributions to Stylus: A Peer-Reviewed Journal of First-Year Writing, various poster awards, and the John C. Hitt Prize for Excellence in First-Year Writing, presented the president himself. 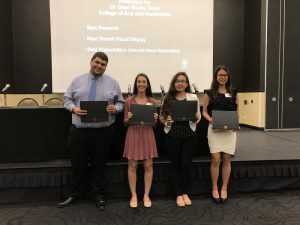 The first place winner of Dr. Hitt’s award was Priscilla Samayoa, author of the article “The Extent of Influence that Genre Conventions have on TED talks”. The first runner up was Katy Gentry, author of the article “Changing Scenes: The Rise and Success of Diversity on Broadway”. The second runner up was Arielle Feldman, who wrote “Galaxy-Wide Writing Strategies Used by Official Star Wars Bloggers”. Awards were also given to selected poster presenters. 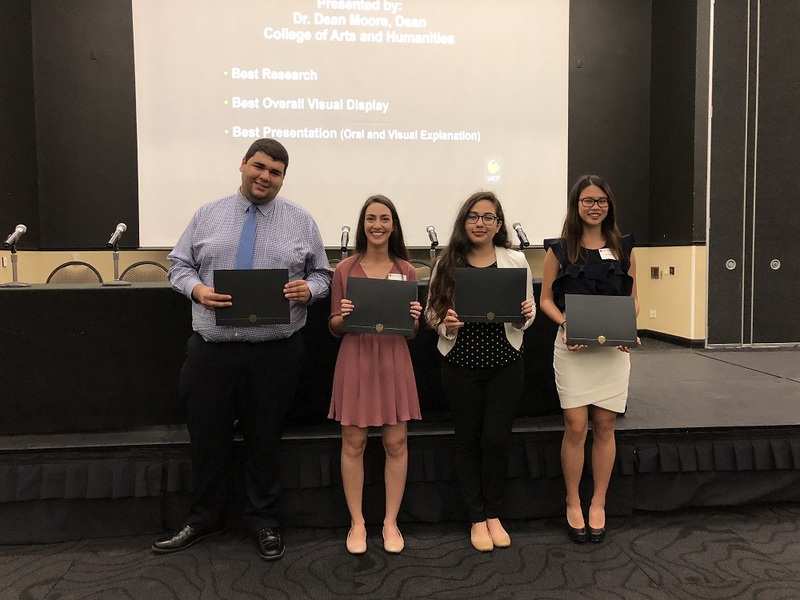 Winners included Nicole Fairfoot for best research, Karin Wu for best presentation, and a tie for best overall visual display: Hannah Wieselthier and Jorge Ugan. 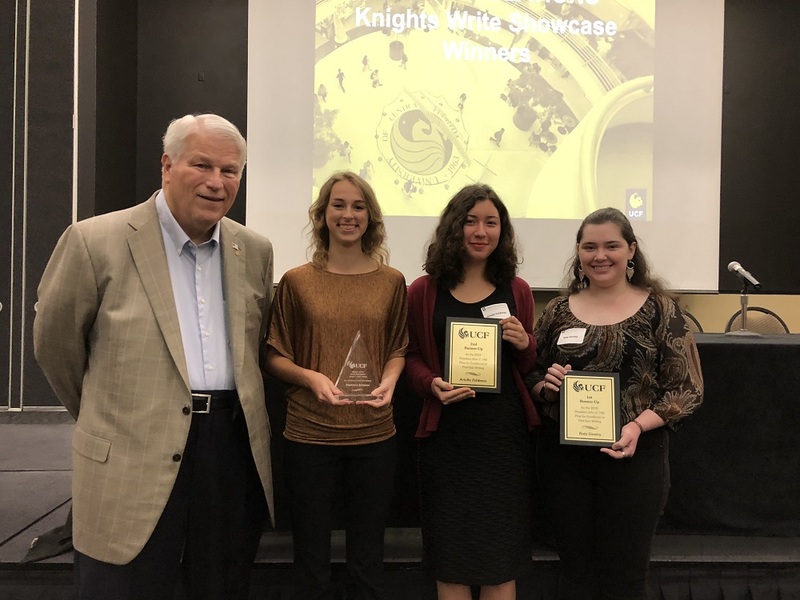 We thank everyone who attended and supported the 2018 Knights Write Showcase, including Dr. Rick Schell, Vice President and Chief of Staff, Dean Jeff Moore, President John C. Hitt, as well as Bedford/St. Martin’s, who generously sponsored the Showcase. The 2019 Showcase will be held in February and we hope to see you there to celebrate another year of exceptional student writing! 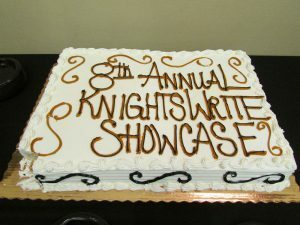 Coming up: 8th Annual Knights Write Showcase!